A kind of comedy show about the meaning of life. Or not. Bloody award-winning! This year featuring cliché. 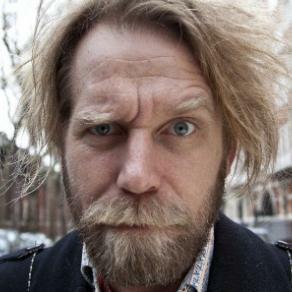 Mrtonylaw is a way of doing comedy but is it proper? No. Award winning! Loads of stars! and another! ‘Clever and blithely zany…’ (Telegraph). He’s been on the telly too, including Russell Howard’s Good News, So This Is Christmas, Never Mind The Buzzcocks, Stewart Lee’s Comedy Vehicle and CBBC’s Scoop. 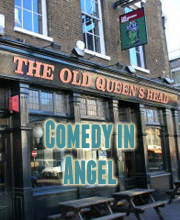 Winner of Amused Moose Laughter Award for his Edinburgh Fringe 2011 show, and Chortle award nominee 2012. What are Tory feminists? How did Hitler choose soups in restaurants? Why isn’t there a Spielberg blockbuster about donkeys, and why did Colonel Gadaffi hate them? Bridget Christie knows. And will wear stilts. Baffling stand-up and grotesque manifestations from someone who’s been on Radio 4’s News Quiz, E4’s Cardinal Burns, Sarah Millican’s Support Group and Harry Hill’s Little Internet Show. Tickets On Sale Now! Just £4!